The things you miss when you're not downtown more often. 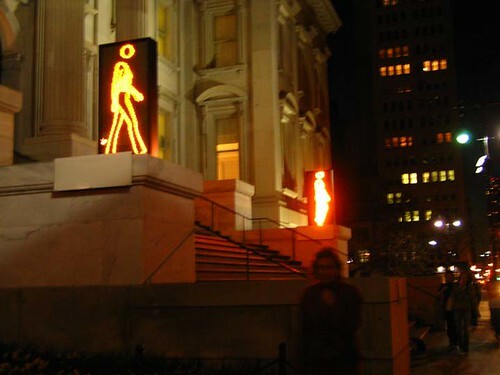 Running into Julian Opie's "Sara Walking" and "Bruce Walking." Cool! I took a crappy video of this installation with my phone when I was in NYC last time. Your pic is way better though. I just linked to your blog on my blog. Blog nepotism.